The area has since received much-needed rain that provided much-needed relief. “It’s a little numbing, to be honest with you, to see the extent of the damage,” said Gov. Bill Haslam. Aquarium employees were evacuated during the spread of the fire on Monday, November 28, 2016, leaving as many as 11,000 animals behind. Marine biologists were allowed back in Tuesday and all the animals are fine. 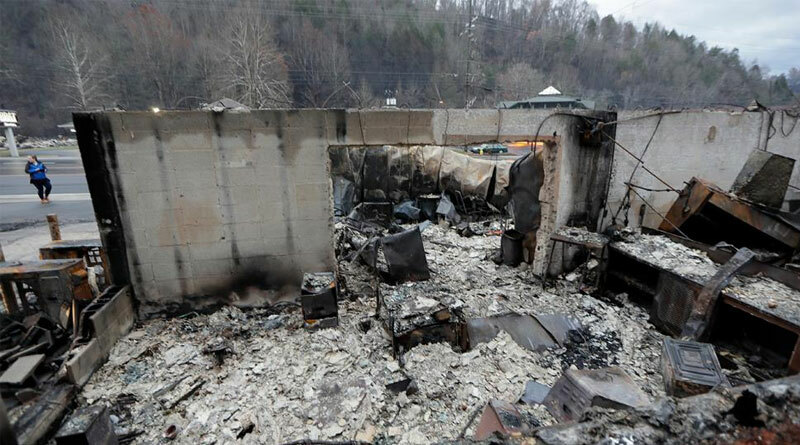 For those who wish to help the many people who lost their homes and livelihoods, please visit the Knoxville, Tennessee, chapter of the American Red Cross at http://www.redcross.org/local/tennessee. Tabloid-sized Resort Trades news journal was established in 1987. Today, the monthly print publication is mailed free-of-charge to every resort in the United States and to a subscriber list of almost 7,000 individual timeshare resort professionals. The website ResortTrades.com was launched in the mid-90s and consistently achieves first page, first-position search engine ranking.